I wrote this last Thursday. The post, not the quotation. Marquart and Dael took a bench in a completed corner. “Tell me how you have things arranged,” he said. Today, I was writing chapter eleven of my latest steampunk novel. So far my hero (I don’t do wimpy protagonists) has served aboard four dirigibles and has risen in rank from Sub Lieutenant to Lieutenant Commander, brevet, in the British air service. These craft are the result of an unscrupulous Brit who, through theft, intimidation, and assassination has crippled the German airship effort and stolen all their ideas. Earlier this morning (as I wrote) Lieutenant Commander David James and I settled thirty passengers into their berths on the Henry V, a dirigible of war acting as a passenger vessel carrying diplomats the the Grand Durbar in Delhi. If you don’t know what a durbar is, you’ll find out in coming months. David hated every minute of it. 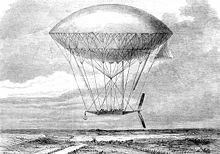 Then we got a break of several hours as he got to go back to his real job as the lowest member of the group of senior officers, seeing to details as the dirigible, nicknamed Harry in reference to Shakespeare, leaves London for Paris. We have been following David’s career for eleven chapters now, and he has done a little bit of everything as he worked his way up. He will do even more in the future, and we will (metaphorically) stand at his shoulder and give him our moral support. The year is 1887, Victoria is on the throne, and our Britain is even stronger than the real one was since they just won the German War, largely through a squad of spies and assassins that remains Britain’s guilty secret. David is one of the few Brits who knows this. Now its time for me to take David by the shoulders and march him down to the lounge to preside, as a stand-in for the massively scarred Commander VanHoek, over the first evening meal of the cruise. He hates the idea. Actually, so do I. In writing, as in life, sometimes if you want to go to a certain place, the path to get there passes through places you would rather avoid. I’ve been researching Victorian aristocratic gossip in order to build a world like yet unlike our own. It’s not my cup of Earl Grey, but it is the job I’ve taken on, and I will do it well. Well enough, in fact, to move my readers through the event without arousing their distaste. That’s the writer’s equivalent of “never let them see you sweat”. Still, I’ll be glad when the dinner is over so David and I can get back down to the engineroom where we can try to get another horsepower out of those damned, recalcitrant McFarland engines. This entry was posted in A Writing Life and tagged aviation, fantasy fiction, history, literature, science fiction, steampunk, writing on September 18, 2017 by sydlogsdon.